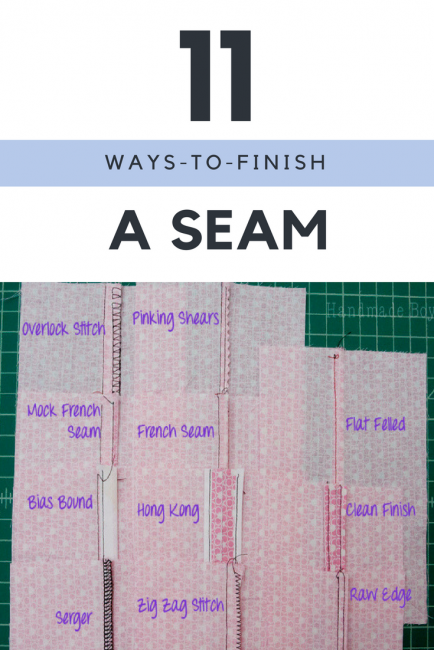 Let’s start with the basics on finishing seams and build on from there. 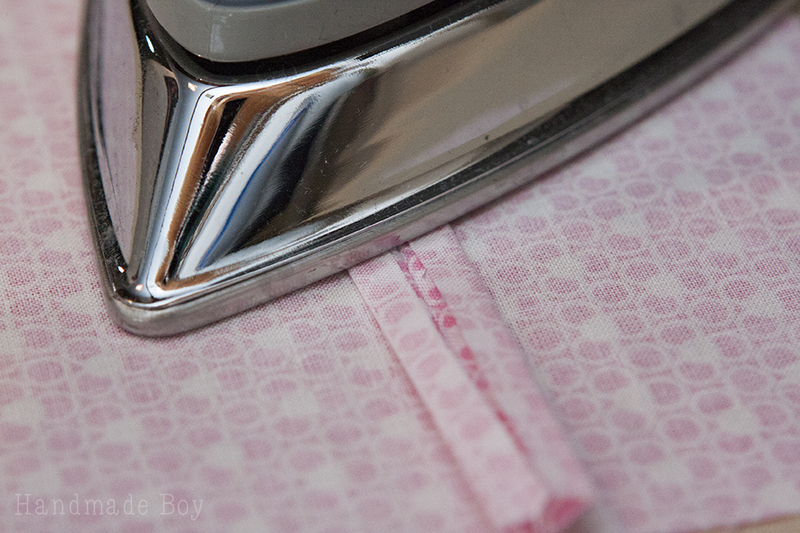 The easiest way to finish the seam is to sew a parallel line to keep the raw edge from unraveling. 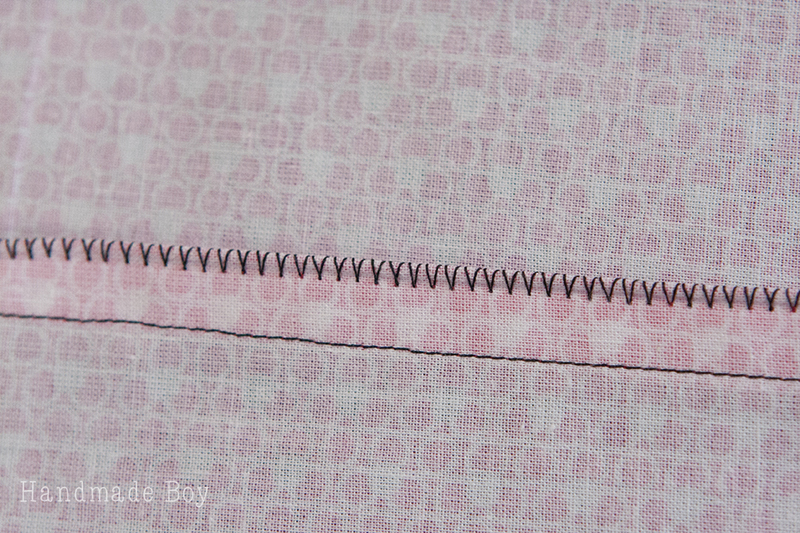 Simply sew your seam using the seam allowance given in your pattern. 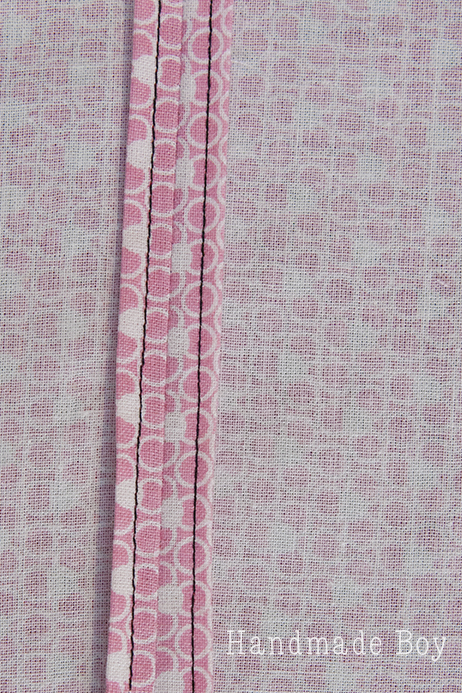 Then sew a straight stitch 1/8″ from the raw edge. Keep your stitches short to help minimize fraying. You will still have some fraying with this technique, but it reduces it greatly. I wouldn’t recommend this type of finish on anything that would have an exposed seam. However, it would help strengthen the seam. It would be good when a seam is hidden if you have a fabric that frays a lot, like flannel lining a jacket. You can also use pinking shears with this technique to help minimize fraying even more. If you do this, sew your second straight stitch 1/8″ from the first and then clip the seam allowance with your pinking shears. 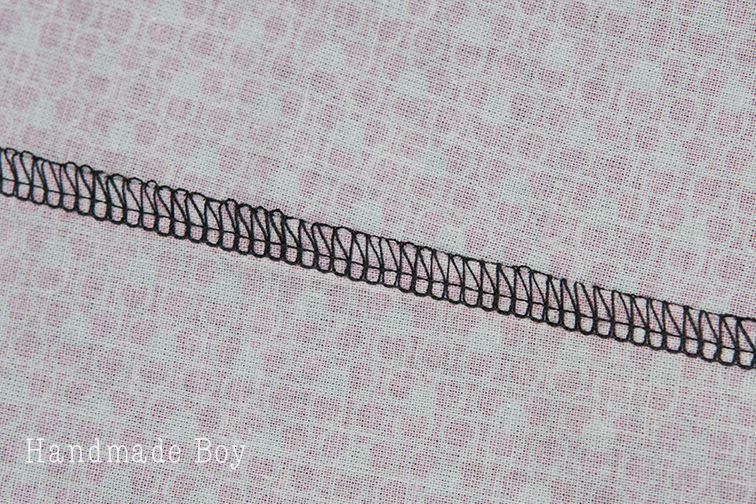 Sew a straight stitch using the seam allowance given in the pattern. Press the seam open. 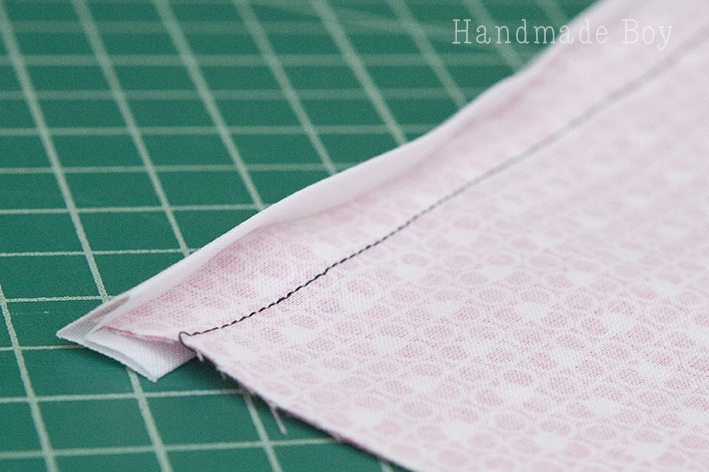 Now, press the edges of the fabric under 1/8″-1/4″ to the wrong side and stitch into place. 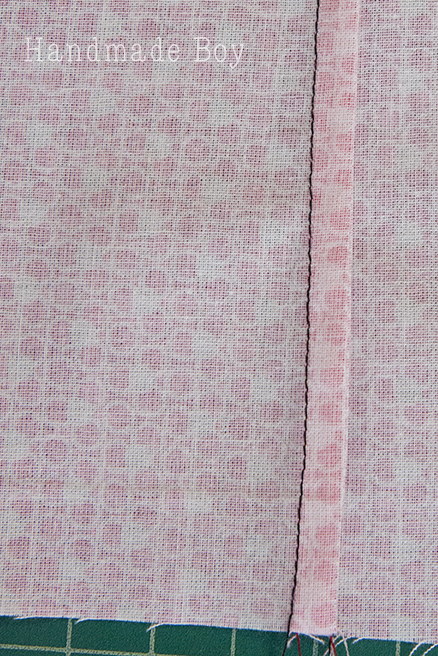 Back side of the seam allowance shown above. This finished edge will produce a little more bulk at the seams. It also requires a bit more work at the iron. But it does keep fraying at bay providing a nice clean seam finish. 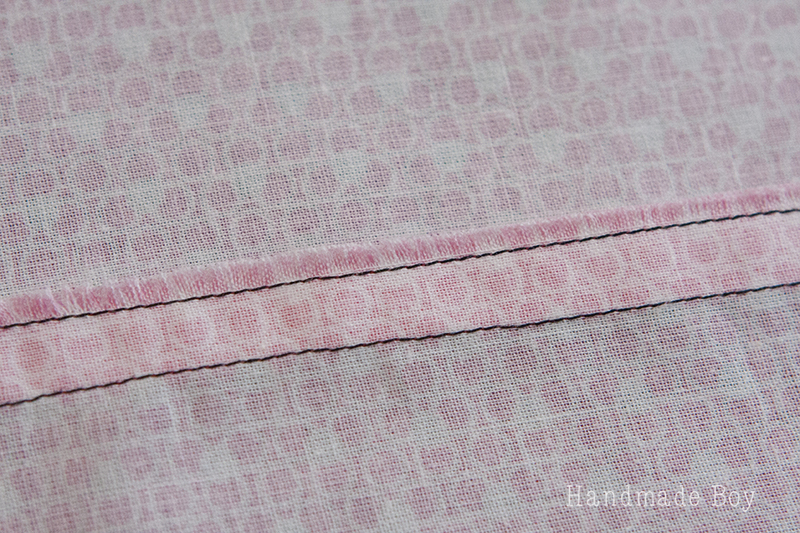 For this seam finish, you are simply going to run a short, wide zig zag stitch right at the edge of your fabric to encase the raw edge to prevent fraying. This technique will get the job done if you don’t have any other technique available to you. It’s also fast and doesn’t require extra time at the iron or special feet for your machine. Be sure to use a short stitch length. It will help reduce the amount of fraying you get. 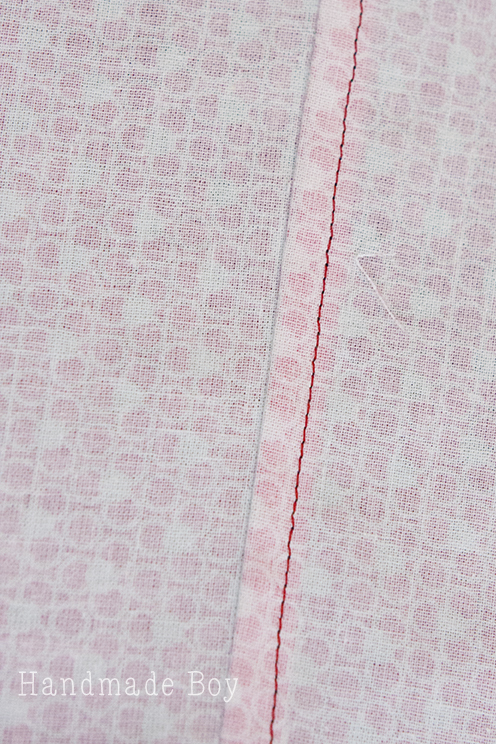 This style of seam will completely encase the raw edge. 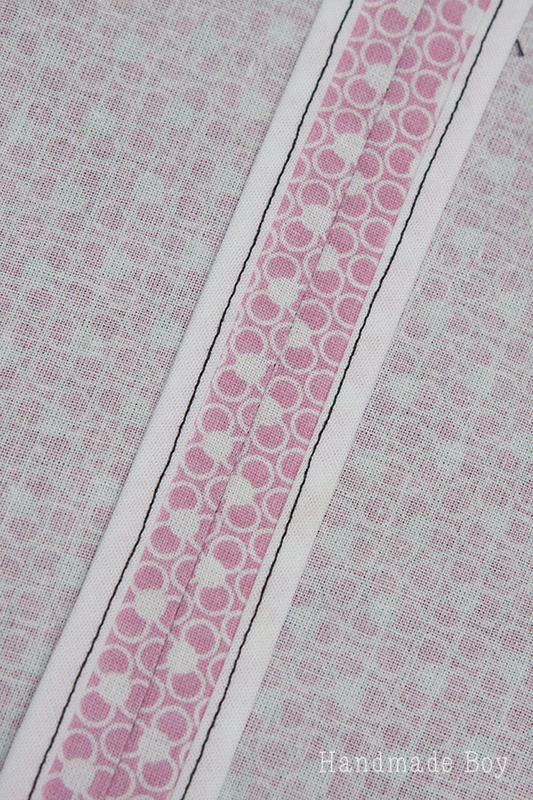 It is great for light weight and sheer fabrics that would be too delicate for an overlock stitch or a zig zag stitch. It isn’t great for heavier weight fabrics because it can cause extra bulk. It is also only suitable for straight seams. To create a French seam using a 1/2″ seam allowance, first sew your two fabrics WRONG sides together using a 1/4″ seam allowance. 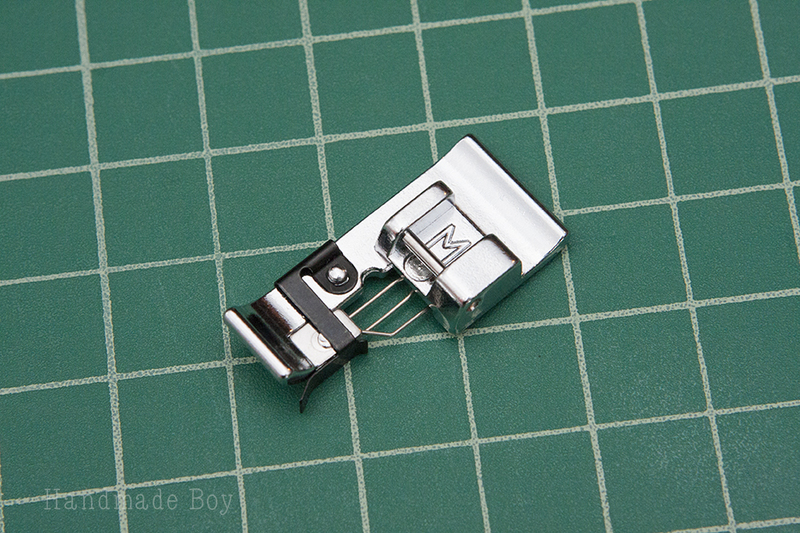 Then, trim the seam allowance down to 1/8″ and press open. Now fold the fabrics RIGHT sides together, encasing the raw edge from the previous seam, press and stitch again using a 1/4″ seam allowance. Voila! A completely encased seam. 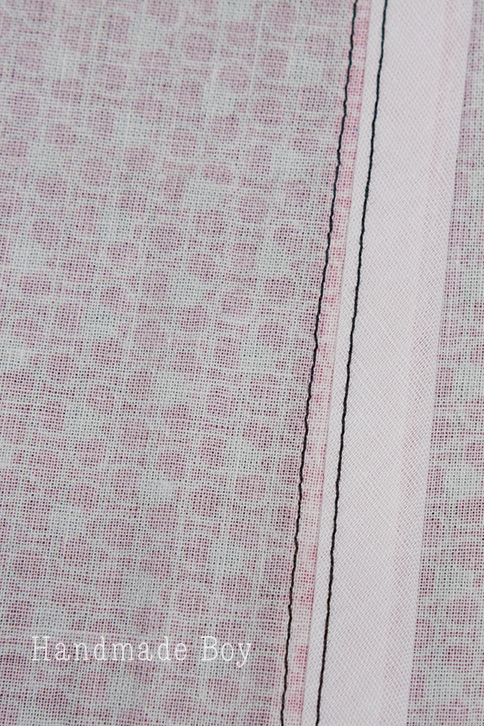 The mock French seam encloses the raw edges completely giving a nice finished look. It’s good for curves, just clip the seam allowance after pressing the edges into the middle to allow the fabric to make the curve without bunching. Again, it can produce a bit of bulk, so it is best for mid to light weight fabrics. 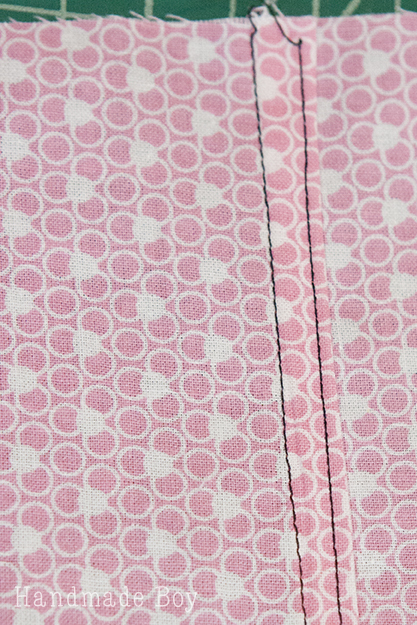 Sew your fabrics right sides together using the pattern seam allowance. Press seam open. Fold the raw edges in, meeting in the middle of the seam and press. Now fold the folded edges together and stitch. Stitch the seam allowance into place. Here is what your back will look like. The red stitches are my bobbin thread from topstitching the folded seam allowance down. Beautiful! Don’t you feel like a rock star after that one! Some machines have a special overlock stitch that will mimic the look of a serged seam. Look for this symbol in your stitch catalog. It’s stitch 12 on my machine. You will also have a special foot. 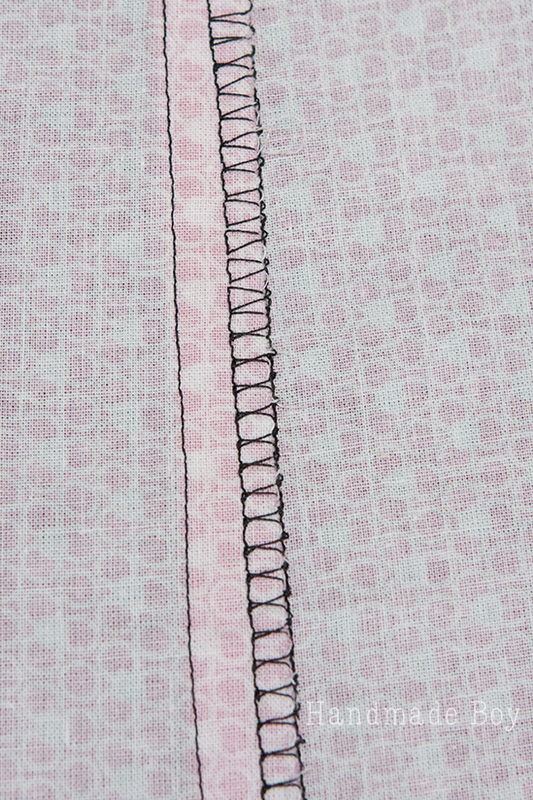 You will still need to use a straight stitch to join your seam. 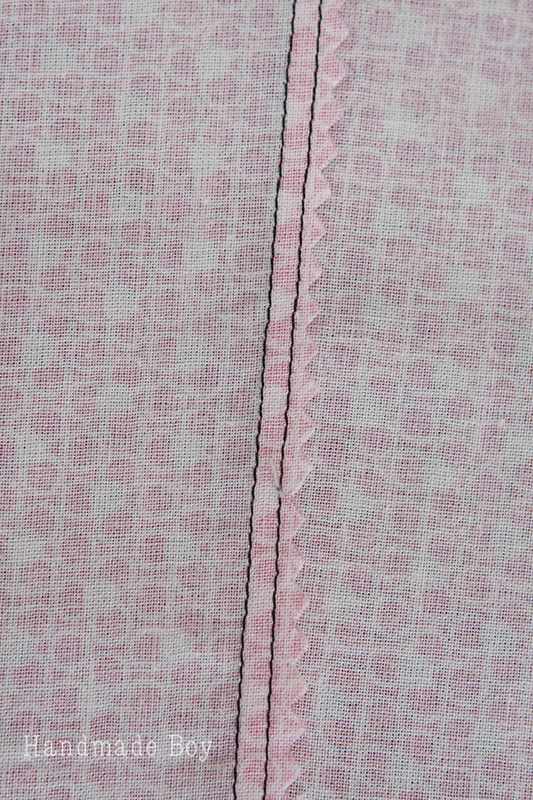 Then, go over the raw edge with the overlock stitch. See the little black flared edge at the front of the foot? 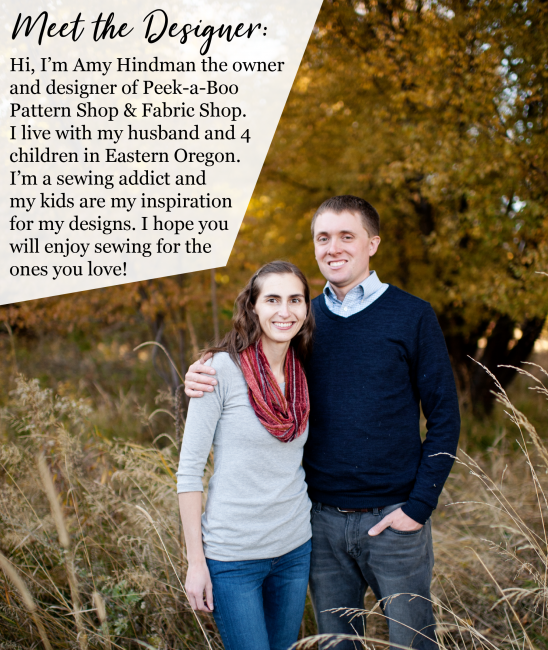 That is your fabric guide. Just line the raw edge of your fabric up with the left side of that little piece and sew. Trim off any excess fabric from the edge, if needed. This stitch is great for any exposed seams because it will really keep fraying at bay and it isn’t bulky. Some people may find it irritating, but pressing the seam down and topstitching the seam in place will help protect against irritation. If you have a large seam allowance, you can trim it down to 1/4″ before overlocking to reduce it. We talked seams, now let’s go over the different techiniques for how to finish a seam. Just like the name suggests, this method uses double fold bias tape to encase the raw edges of the seam. Sew the seam as usual with right sides together. 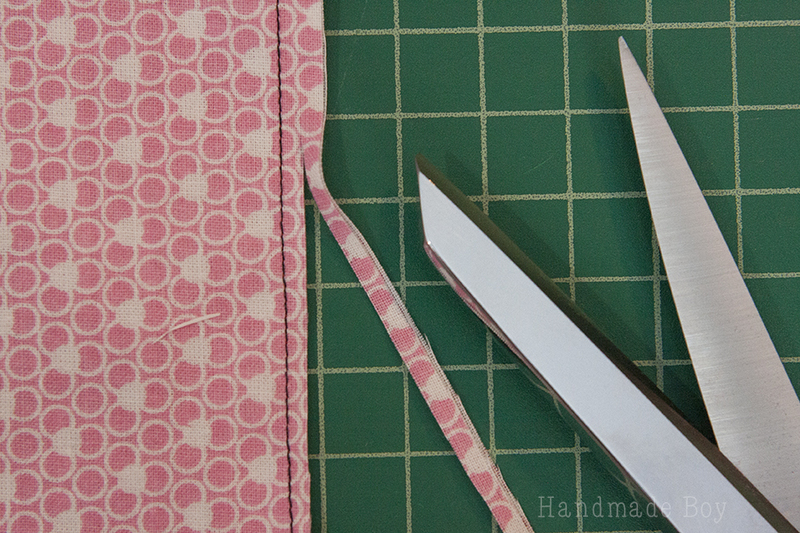 Insert the raw edges into the center of the double fold bias tape. The binding will add some bulk to your seam, but it gives a very nice, clean finish. You can find this in unlined jackets. The bias may be topstitched into place from the right side of the fabric to keep it laying flat. This method is usually only found is high end clothing because it is time consuming. 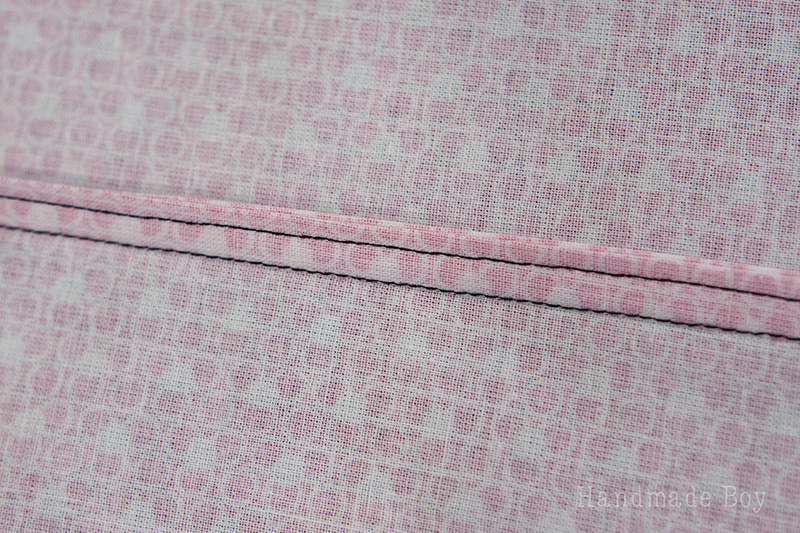 Similar to the bias bound seam, each seam is encased in it’s own bias strip. You know the packs of thin bias tape, this is one use of that. Of course, you can make your own bias strips as well. Sew your fabrics right sides together. Press seam open and insert each raw edge into the bias strip. Stitch strip in place. 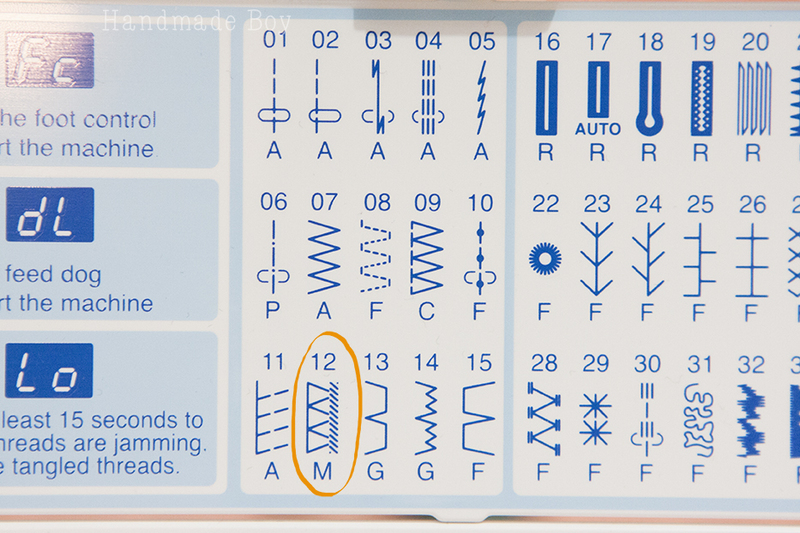 A special machine is needed for this finish, a serger, or overlocker, depending on your region. A serger is a multi thread machine that sews a seam, trims the seam allowance and encases the raw edge simultaneously. This makes sewing a clean seam super fast. Serged seams are also commonly used to construct knit garments because they allow the seams to stretch with the fabric. And there you have it! You know how to finish a seam eleven different ways! 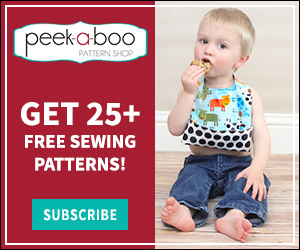 Sign-up for our newsletter below to get 25+ FREE sewing patterns and the best deals on new pattern and fabric releases. 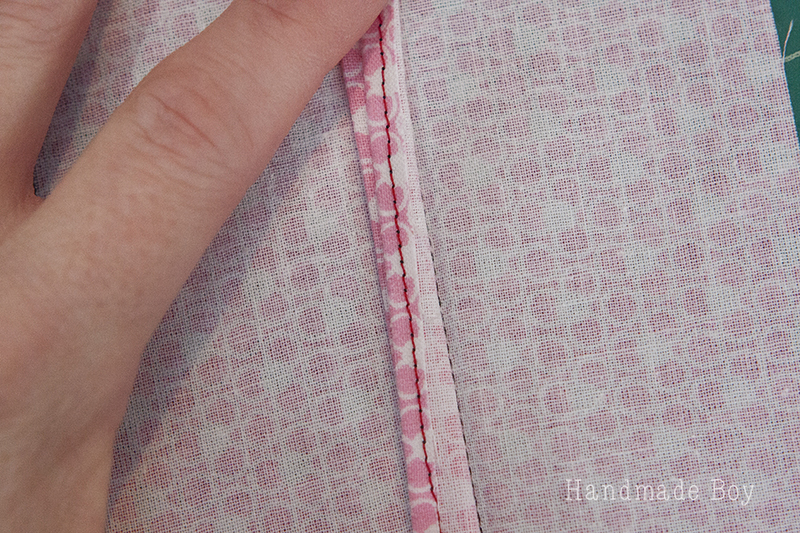 If You Enjoyed the article on how to finish a seam, be sure to share it on Pinterest!